This month two very similar state governments on opposite sides of the world launched new eProcurement systems. But what makes this interesting is how similar these governments are yet how different their approaches are to providing opportunities to businesses. This of course is meant to challenge your thinking about your approach to improving opportunities for business to buy from your government. Yet when it comes to these government’s two new eProcurement systems designed to make it easier for their local businesses to sell to government the differences are immense. So read on and think about which approach you’d prefer your government to be taking if you’re responsible for guiding government procurement. Better yet, take off your hat as a senior government decision makers and put yourself in the shoes of what the experience would be like if you were a business trying to sell to your government. I will put a caveat out there that officially New Jersey’s new eProcurement system isn’t due for launch until October. 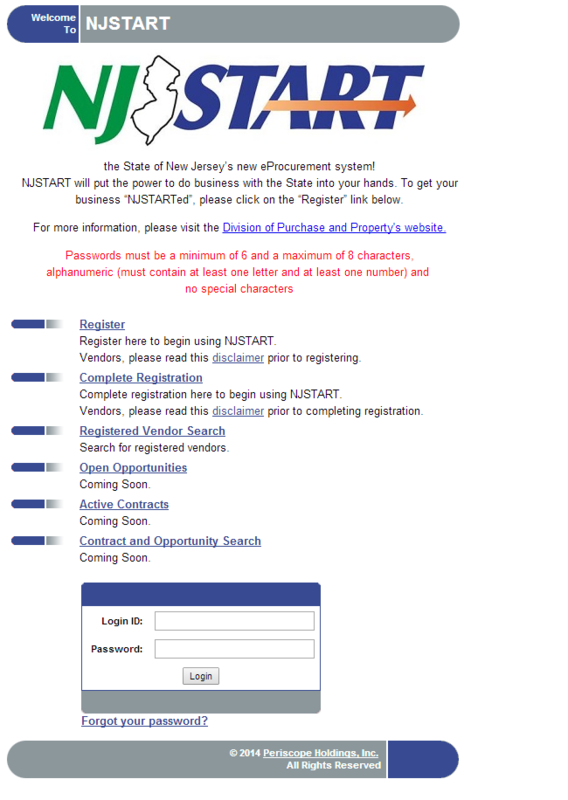 So what is currently at www.njstart.gov may evolve into something different (I hope it does!) That said the site does declare itself as the new system. The site appears to be stuck in the early 2000’s. Not very visually inspiring or contemporary. At least it’s not complicated with clear calls to action. But when three of their calls to action proudly say “Coming Soon” you’ve got to scratch your head. I had to scroll around and see if I could find a few animated gifs of construction workers digging digital holes, but at least New Jersey had left them off. Now I couldn’t login to the backend of NJSTART as I needed to have a Tax ID. I put a fictitious one in, made up a company name and then tried to select my country. My guess is the State of New Jersey will be overwhelmingly buying from American businesses, but in the Country area I couldn’t choose Australia where my business is based. This is especially odd when Australia and the United States have a free trade agreement between them. Yet a country that no longer exists (Czechoslovakia), an island which is self-governing administrative region of Denmark (Greenland) and a whole continent (Africa) were on the list. New Zealand though was on the list, and they’re close to Australia so I said I was a New Zealander. It worked and I could start adding details about my business so NJSTART would know more about my business. This would allow me to stay in touch and set payment terms if I was successful. It also allowed me to search inside the system for the types of goods and services I could supply to New Jersey government bodies. That was good. On the downside though it didn’t let me set up online payment processes so I fear if I did sell to New Jersey I’d have to wait for a check to arrive in the mail. But I wanted to look more deeply at New Jersey's offerings but due to the “Coming Soons” had to come up with another plan. I did some digging and found a couple of other American states using the same company who developed NJSTART. Fortunately their system was fully live so I could investigate current opportunities where government wanted to buy goods or services from business. However this wasn’t necessarily inspiring or helpful wearing my business customer hat. There’s no way to search for opportunities, just a list of 119 current opportunities spread over 5 pages. There’s a description that’s useful. And if I was operating a business in a specific industry the “Show bids by category” function might be useful. Similarly there’s a column with a date and time for when I can start submitting a bid, but no column saying when it closes. Wearing my business customer hat I thought I could supply fresh made pizzas so followed that link. There was an unnecessary page where I had to confirm that I wanted to proceed (I thought by clicking that made sense that I wanted to proceed) before I got a more detailed summary of what’s needed. This page though still didn’t say when the bid closes although it did have lots of great info for who the buyer in government was: the Livonia public schools board. Disclosure statements about what family relationship I may have with any members of the school board to ensure probity in the procurement process. Likewise confirmation about the company’s position on equal opportunity. 15 pages seems a bit long to find out what my business needs to do to supply pizzas, but compared to many other government purchases it’s not that long. Still pity the poor business customer! All bids must be either hand delivered or sent in by snail mail. No electronic submission which seems crazy in this day in age when so many businesses are embracing the online channel. That said – and I do think this is appropriate for this type of government purchase – samples of both a cheese and a pepperoni pizza needed to be supplied when the bid closed. So in summary, the customer experience using NJSTART and its sibling Buy4Michigan, was a good one – but still left a lot to be desired. Adding to this is it’s not clear if you are from the New Jersey Government and need to buy or procure what you do. I do acknowledge that NJSTART have made a great step forward from where they were. The new solution replaces a 25 year old mainframe system and allows businesses to update their details in real time. According to Jignasa Desai-McCleary from New Jersey’s Division of Purchase and Property it also allows business customers to manage multiple accounts, manage certifications and receive email alerts for upcoming opportunities. The official literature from the company does show back-end processes have been sped up considerably which is a great step for businesses and government. All very good things. But as I turn my attention to New South Wales, I can’t help but thinking that New Jersey could’ve done a lot better. The contrast to NJSTART is incredible. The visual design is contemporary and clear. The information architecture is based around customer journeys, acknowledging that before a business starts selling – or as they call it supplying – to government that there’s things they need to do beforehand. The prominent drop down boxes make it clear when segmenting the audience between customers (suppliers) and government buyers. All looking good. NSW eTendering - this is the place where NSW Government agencies advertise their business opportunities. 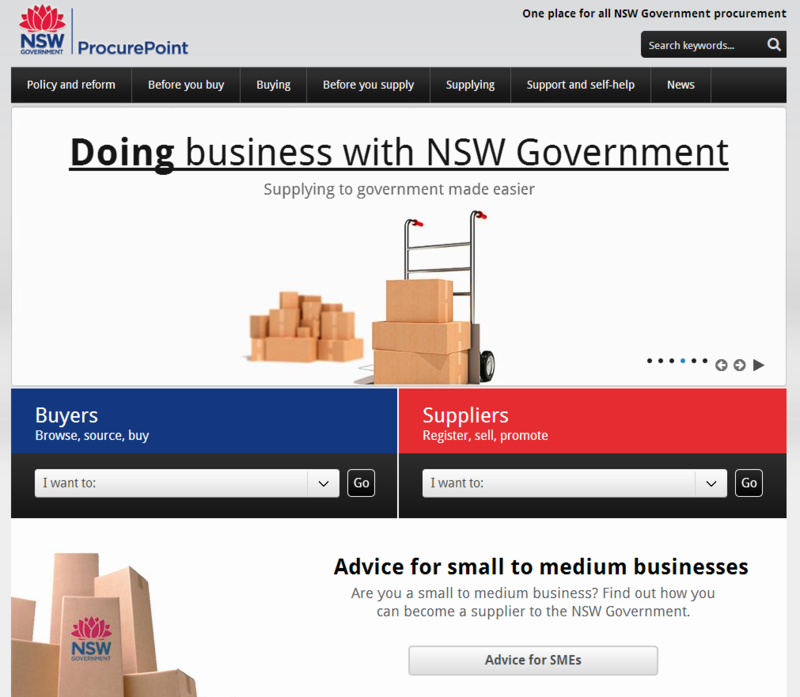 NSW eQuote – the online quoting system used by agencies to seek quotes from prequalified businesses. So to start with I thought I better start following the links. The eTendering link took me off to a totally different website where NSW Government tenders (the Australian term for going to the market for companies to bid for the work) are published. The eTendering system though is functional and displays proposed and current tenders as well as allowing searching. Like NJSTART/Buy4Michigan you need to set up an account to download the full package of tendering/bid documents. However unlike the two American states the New South Wales system allows businesses to submit their response online. In fact like many of the Australian government sites they seem to have a digital by default policy on submitting tenders. Still wearing a business customer’s shoes I successfully downloaded tenders and also started down the path of pre-qualifying myself to a panel so government departments would know what my business offered and could contact me directly if they had work. A fair number of questions but at a reasonable length considering it would add my business to their panel. This is a really good concept when it comes to government buying from businesses. Instead of having to go through a large tender/bid submission, pre-qualified businesses can be contacted about opportunities in their area and submit a simple quote. I tried the same login details as I’d created for eTender but they didn’t work. I assume you can’t access the eQuote system until you’re qualified. Hopefully for the business customer’s sake they don’t need to create a new password and username. Disappointing that your session has expired before you’ve even started! Wearing my business customer hat I persevered and clicked Login. I was prompted for email, password and organisation. I tried the same details I’d provided for NSW eTenders but the system didn’t like that either. Worst still there was no advice on the page about how to sign up apart from a “forgot your password” option. There was an option for viewing the public version of the catalogue for I tried that. As you can see this looks totally different again. Now most customers will generally ignore the text and dive straight into either search or the navigation. But let’s assume they read the instructions to learn how to use eCatalogues. The online training simulation though is a 62 slide presentation. I’m sure there will be some businesses who’ll persevere but this system made the NJSTART/Buy4Michigan system seem easy! So what can you learn if leading an eProcurement site? In conclusion what looked so promising from New South Wales ended up being three different systems or approaches. And while it gave the business customer more opportunities to sell to government the experience was hardly the “One place” for all procurement. Give the customer confidence and empowerment. A system shouldn’t be so confusing that customers need to read lengthy documents, web pages or tutorials to work out what to do. Make it intuitive, easy and visually appealing to provide them with confidence and trust in the system. Make sure business customers save time so they can got on with growing their business so they can provide job opportunities . 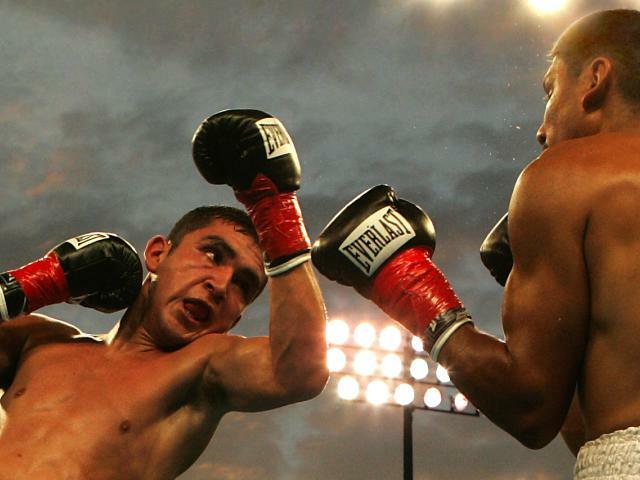 Make sure existing business processes are challenged. Just because your government has always done things that way, doesn’t mean you should replicate that in the online environment. Take the opportunity to streamline internal processes. Deliver a solution that saves government money. Look at the lifetime cost and value delivered when selecting an eProcurement system. This often ties into challenging business processes, but also relates to ensuring you achieve channel migration. If business customers are able to effectively self serve online they’re not calling and seeing procurement officers. This frees up their time to more effectively add value to what the government wants to achieve or to reallocate resources into other priority areas.